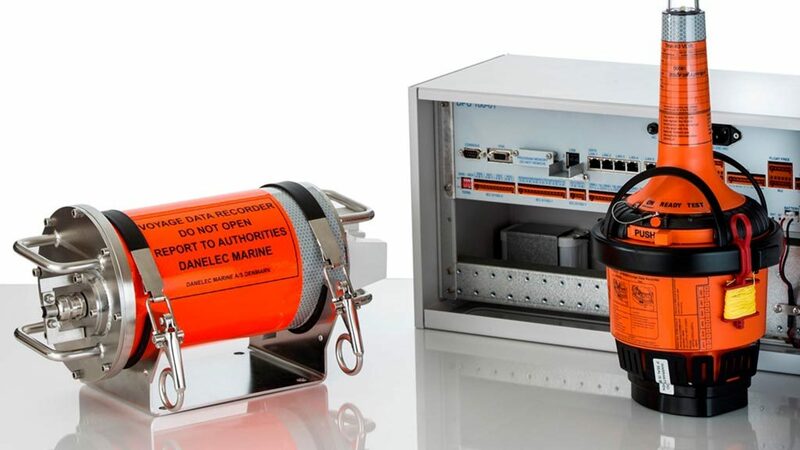 Mackay Marine offered a turnkey solution for replacing existing VDRs on Diamond S Shipping’s fleet of 30 medium-range product tankers; installing Danelec’s new-generation DM100 VDRs with enhanced features, fully compliant, and exceeding current regulations. Diamond S Shipping is one of the largest owners and operators of modern medium-range product tankers. Within its fleet of tankers, 30 vessels were built at HMD and STX Shipyards in South Korea. At the time of construction, the 30 vessels were equipped with VDRs which later proved to have poor product reliability, lack of global service network coverage, and high costs for the annual APTs. Replacing an entire fleet of VDRs can be a daunting proposal. For over a year, Mackay’s team diligently collected service records demonstrating to Diamond S that ongoing and extensive VDR repairs with limited parts availability were holding up ships at ports, costing them time and money. These findings compelled Diamond S to look for better alternatives. Mackay’s global reputation, together with Danelec’s product reliability and SWAP technology, appealed to Diamond S, who awarded the VDR upgrade project on their fleet of 30 medium-range product tankers. Danelec’s tailor-made Retrofit Conversion Kit solution made it possible to complete the installation with minimum effort and downtime. Danelec Marine’s tailor-made Retrofit Conversion Kit solution made it possible to complete the installation with minimum efforts and downtime. As of April 2018, 27 of the 30 ships have been retrofitted at various Mackay service ports in less than a year. A ‘pre-install’ survey was conducted on one of each of the HMD and STX type vessels to familiarize Mackay with the existing set-up, cable routing, 3rd party interfacing compatibilities, etc. This provided exact requirements and necessary installation materials. Diamond S selected a subcontractor to carry out the hot works, cable routing, adaptor fitment etc. Cables and mounting plate kits were prepared and supplied by Mackay India in a ‘kit bag’ per ship. The DM100 VDR was remotely configured by Mackay India for successful Termination & Commissioning by Mackay. Mackay India, as the single point-of-contact for this project, executed the installation and testing within the scheduled timeframes. This provided the owners/managers with a direct line of communications and the comfort of better control. Three-way collaboration and Mackay and Danelec’s global network coverage enabled timely installations in-route. Average installation time was 18-24 hours per ship. “ZERO” equipment failures occurred post-installation. All installations received a 5 stars rating by Danelec Marine. Reasonable and consistent APT/COC charges. Global support by Mackay wherever the crew needed assistance.